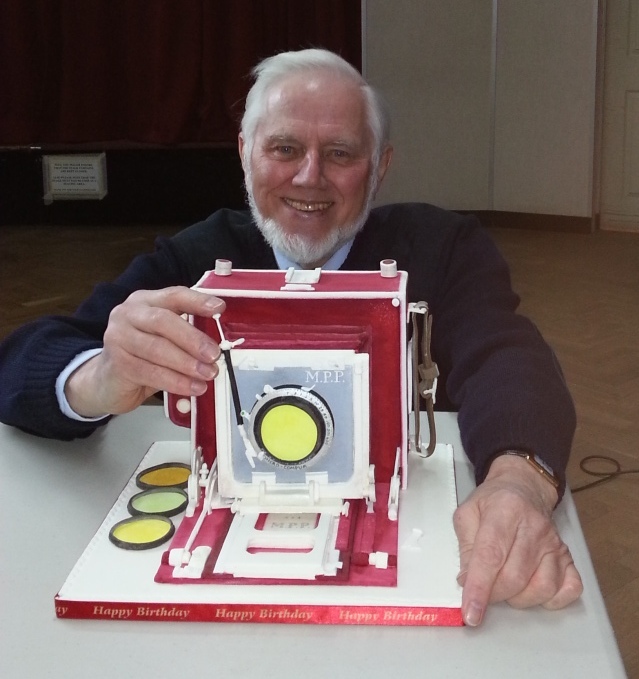 Here is one of our life members John Riley ARPS who gave us a smashing look at his film and darkroom photographic history last Thursday. Very interesting to see layers and masking, dodging and burning, etc, done pre-Photoshop. 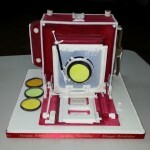 John was seventy years young a short while ago and he made himself a lovely fruit cake based on his MPP 5″ x 4″ camera. What a cracker!. He invited us to eat it, but no one had the heart to cut it as it was so brilliant. 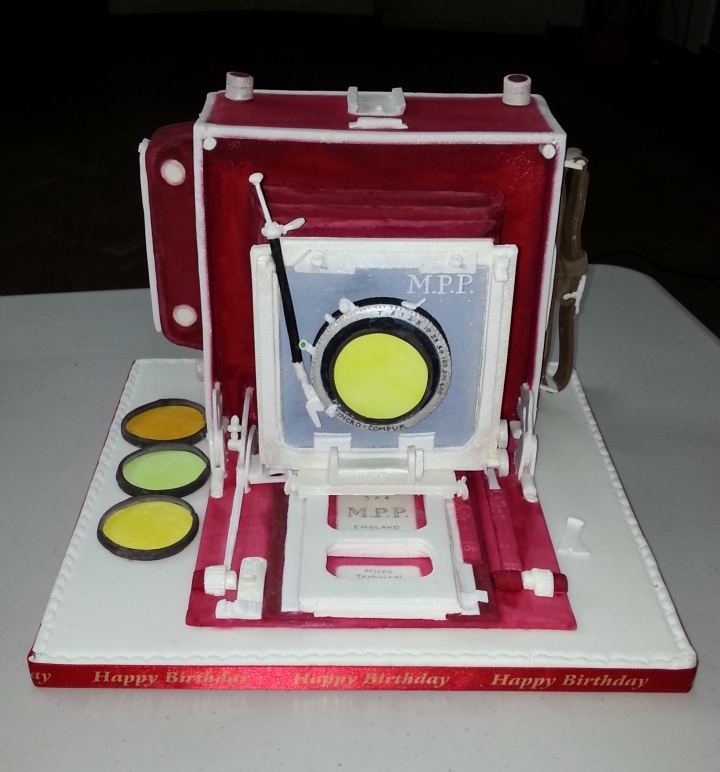 It has a cable release, all the knobs, rack and pinions, accessory shoe even filters! Well done John. You may have a trail of people coming to your house to have a nibble on the quiet.